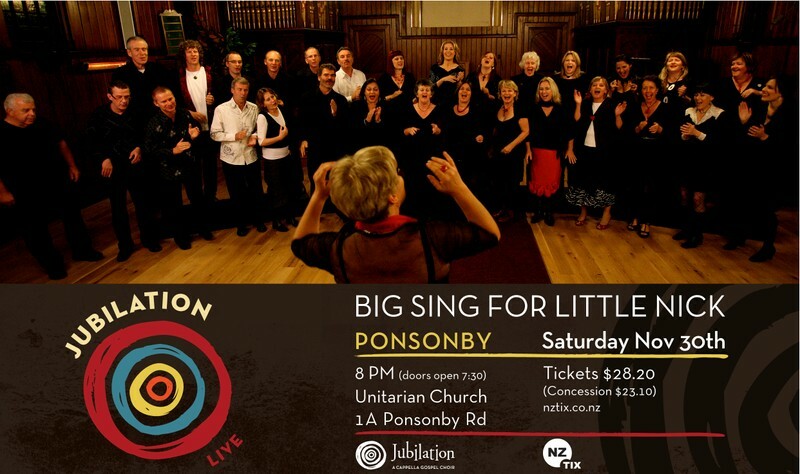 Jubilation presents their final show of 2013 at the Unitarian Church in Ponsonby, the place we gather every Tuesday to sing. Join us for an intimate acoustic show with old and new offerings, a glass of wine and a good time! All ages with a donation of profits going to Little Nick the young son of our late, great bass Nick Rosenberg who we so sadly lost earlier in the year.